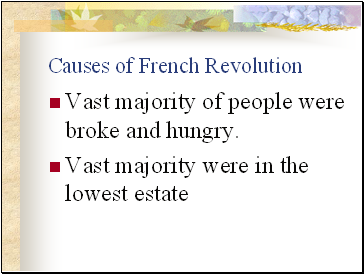 Vast majority of people were broke and hungry. 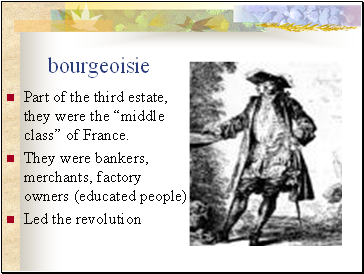 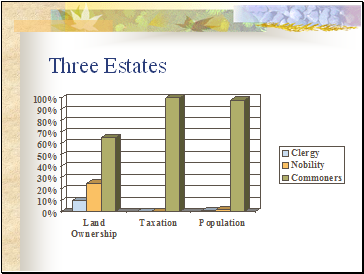 Part of the third estate, they were the “middle class” of France. 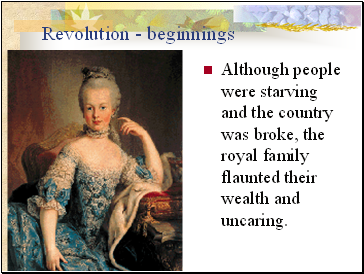 Although people were starving and the country was broke, the royal family flaunted their wealth and uncaring. 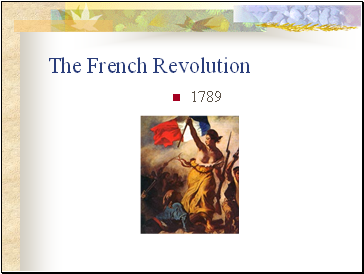 People were hungry; the country was broke. 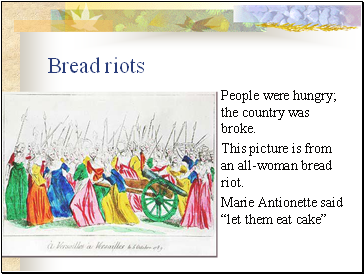 This picture is from an all-woman bread riot. 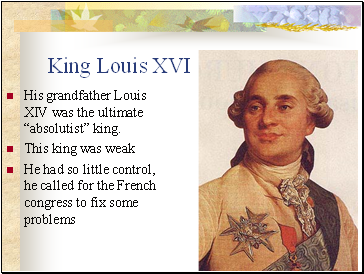 His grandfather Louis XIV was the ultimate “absolutist” king. 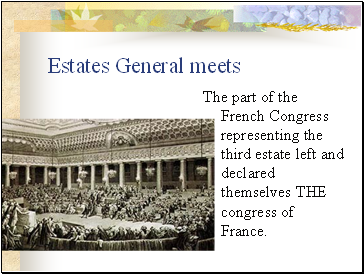 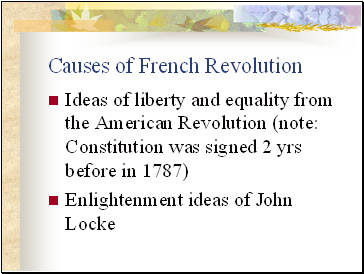 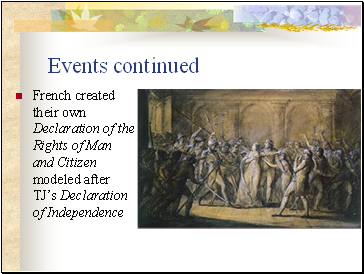 The part of the French Congress representing the third estate left and declared themselves THE congress of France. 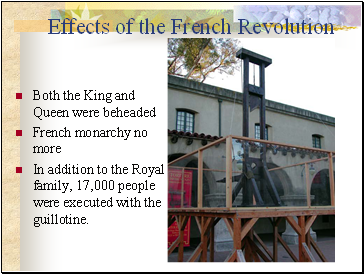 In addition to the Royal family, 17,000 people were executed with the guillotine. 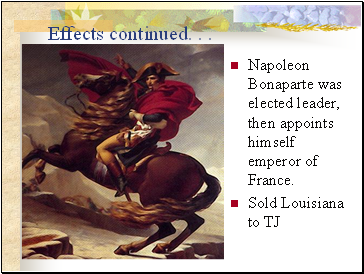 Napoleon Bonaparte was elected leader, then appoints himself emperor of France.